Each meal I ate was like spinning the roulette wheel, not knowing what it would land on. Would today’s meal result in bloating, heartburn or severe abdominal pain? The kind of bloating that makes your pants refuse to fit. The kind of heartburn that feels like your chest has a heavy ball of fire lodged in the center. The kind of pain that feels like your twisted intestines are being repeatedly stabbed by a sharp knife. Or would I be fine? Dealing with the unpredictability of my gut was definitely something, but my periods were just as burdensome. In my twenties, after numerous colposcopies (a painful procedure where a part of your cervix is removed for laboratory testing), I underwent cervical laser surgery to remove abnormal cells. I suffered from irregular, painful and extremely heavy periods. They were so heavy that I often became anemic, which caused fatigue, heart palpitations, and dizziness. The fatigue was so severe that even walking up a flight of stairs was exhausting and left me struggling to catch my breath. So in my late thirties, I had surgery to remove the fibroids that had taken up residence in my uterus. 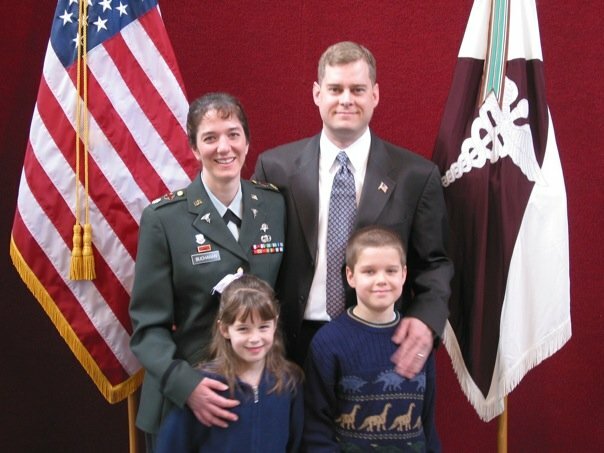 While I knew I was ill, I continued to live a fast-paced life, fulling my responsibilities as a wife, the mother of two children and an active duty U.S. Army Medical Service Corps officer. As you can imagine, dealing with my health issues and the high levels of stress from increased responsibility at work, I often felt out of balance and exhausted. I found myself snapping at my family, even though they were supportive through a total of six surgeries and countless medical visits. One day, while driving home from work my abdominal pain had become so intense and exasperating, I prayed to God, asking for my pain to be taken away. I had tried what I knew to be all my options. I realized I needed to reclaim my health. My desire to heal and eliminate my pain was the catalyst to start exploring complementary medicine modalities. I was able to make great improvements from several different types of holistic practitioners but, when I found Reiki, it was different. After having my first Reiki treatment, I knew right away that I needed to learn it and share its benefits with others. It has been a long journey and I now thankfully understand that healing occurs on multiple levels. When we restore peace and harmony to our body, mind, spirit, or to a situation, we open a pathway so healing can occur. This harmony is what I hope to bring others, something that I wish I had so many years ago. This is a list of books and authors that have inspired me to expand and grow. A tree has roots that grow deep into the soil, grounding its connection to the earth to receive support. When we are feeling grounded and stable in our bodies, this allows us to be more resilient. A tree's leaves and branches extend into the sky, accepting the warming energy from the sun that it transforms into nourishment, allowing it to grow and thrive. The branches remind us to make connections with others and the importance of allowing ourselves to receive love from our community. A tree reminds us that life is a cycle and the only constant is change. In the fall, trees lose their leaves and enter a death-like hibernation for a few months. But come spring, the tree sprouts tiny buds, bursts forth with dramatic blooms and leaves and is born again. In this way, a tree is a symbol of a fresh start on life, positive energy, a bright future and the knowledge that you too can change.